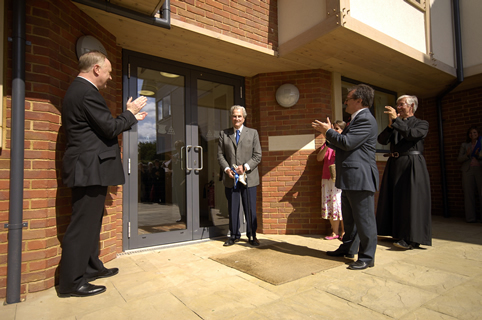 The New Grange was opened by Sir Patrick Leigh Fermor DSC OBE OKS on Sunday 9 September 2007. This boys’ boarding house, next to Harvey House, accommodated those formerly in the Mint Yard. The original building had become an independent house in 1928. It is now occupied by the Edred Wright Music School, as well as classrooms. Girls were attached to The Grange from 1974 to 1990.